No one has ever accused New York of being dull. The city boasts an enviable host of attractions and draws 13 million tourists per year. Those who make the journey are treated to views of its unforgettable cityscape. Yet despite being amazed, many often come away with the impression of a city lacking compassion. Amidst sprawling neighbourhoods, utilitarian subways and towering skyscrapers, wander huge numbers of vagrants ineligible for medicare and other basic amenities. Commuting locals rage frustrated at ambling tourists obstructing their path and all around is evidence of an enormous wealth divide. Those looking for a different perspective on the city should direct their attention to Northern Manhattan, toward Harlem. Unlike Manhattan, Harlem is not characterised by its skyline. Instead, it is synonymous with southern soul food and frequent its cosy jazz bars, drawing hoards of visitors from throughout the city and world. Affectionately nicknamed ‘black mecca’, Harlem has long been a hub for the African American community in New York and indeed throughout America’s west. During the 1930’s, it was at the centre of a movement which saw an explosion in participation in art and social activism in the African American community- known as the ‘Harlem renaissance’. Despite recent gentrification, Harlem and its population have retained their community values, resulting in a neighbourhood which thrives on diversity and exudes hospitality. Rather than simply visiting, it would be more beneficial for visitors to base themselves in Harlem to best experience its charms. There is a sense of community here. People around the neighbourhood have time to talk, and it is very safe. They will engage you in conversation on the street, in bars, restaurants or at the bus stop. This is a stark contrast to the bustling busyness pervading the rest of Manhattan. The community commitment to each other is also clear in businesses found here, with many stores having recruitment policies ensuring the majority employees are from Harlem. On every corner is evidence of Harlem’s African American heritage, in the form of colourful churches, murals and a variety of eateries. 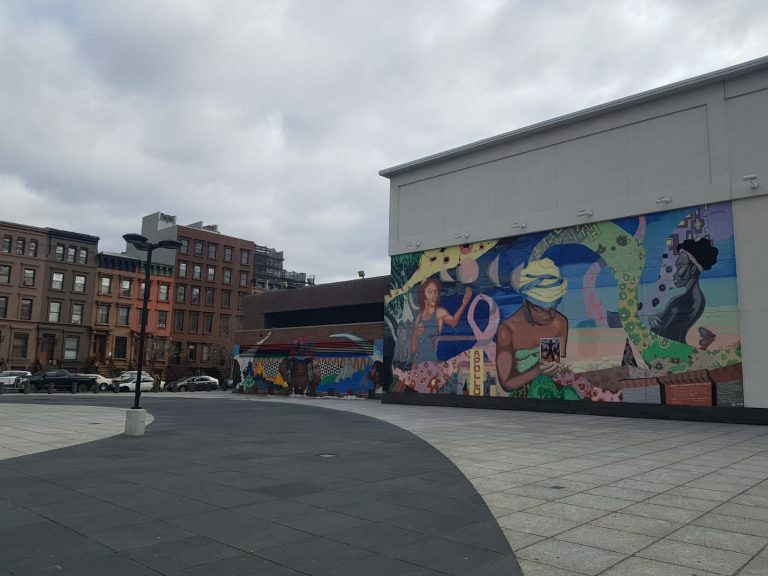 For the first time since 1930, less than 50% of Harlem’s population is of African American heritage, but their cultural influences still thrive and are celebrated wholesale. A dining experience in Harlem begins and ends with one thing, soul food. This term describes a cuisine originating from black communities in the Southern States of America, which is full of rich, hearty flavours. 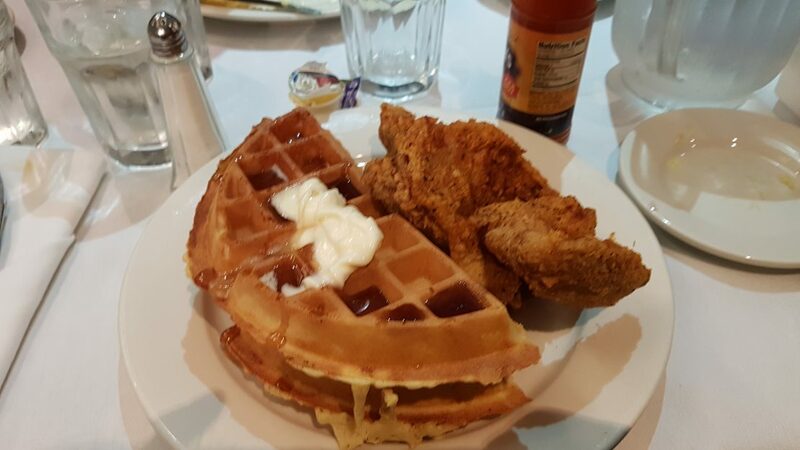 A typical soul food meal is comprised of a generous portion of fried chicken, along with sides such as macaroni and cheese, fried grits and waffles. The guaranteed to leave any diner satisfied. Unsurprisingly, with its large African-American community, Harlem boasts a number of soul food institutions. Here are some of the best. This casual diner is located on 124th street and once again adheres to the Harlem community spirit, with a policy aimed at hiring the majority of its staff from the Harlem area. In 2014 it won Time Out’s readers choice award for the best restaurant in New York, despite only opening a year earlier. It’s not hard to see why, either. The small restaurant’s walls are festooned with eye catching decoration. One sports the ‘wall of fro’, a homage to African- American hairstyles, whilst the other is choc a bloc with autographed head-shots from a dizzying range of celebrities. The menu features a wide variety of burgers and milkshakes. Founded by Sylvia Woods in 1962 and still operated by her family, this restaurant is firmly entrenched in Harlem’s consciousness. Its welcoming, homely atmosphere has drawn locals, travellers and celebrities for over 55 years. Diners will find themselves in a room thronging with people, from those dressed in their church clothes to tables of squabbling children. Much like a family living room, the walls are lined with photos of the Woods family and diners. Look carefully and some are very recognisable. On one wall, a beaming James Brown stands next to Sylvia Woods. The best time to visit this institution is during ‘Gospel brunch Sundays’. Between 11 am and 2:30 pm diners are serenaded by gospel singers as they eat. Be warned, queues will stretch out the door as Harlemites turn up in their Sunday finest, fresh from church. Sylvia’s is located on 328 Malcolm X Boulevard, just a 5 minute walk from 125 street subway station. Chicken and waffles- the delights of brunch! Situated in central Harlem, Red Rooster is a restaurant which operates with community spirit at its core, marrying comfort cooking with culinary creativity. Chef Marcus Samuelsson grew up in Sweden but utilises the influences of his Ethiopian homeland in his cooking. Chicken is more than adequately covered on the menu, not only is it found jerked but also soaked in honey. Seafood also features, with a choice of crab and salmon for entrees. What’s more, customers at Red Rooster need not travel far for some after dinner entertainment. One floor below is Ginny’s Supper Club, another restaurant which plays live jazz in the basement. Travelling to Red Rooster is easy. It lies on 125th street, on the B and C subway lines, and is mere footsteps away from the subway exit. The Apollo theatre is an institution which sits at the centre of Harlem’s culture. It contributed both artistically and politically to the renaissance of African American culture witnessed in 20th century America. Since its opening in 1914, its hallowed boards have witnessed the greatest black musicians of their respective generations, ranging from Billie Holiday, through to Aretha Franklin. To experience the theatre first hand, come on a Wednesday for the famed amateur night, where acts perform in front of a boisterous crowd. To reach the Apollo theatre, take the B and C lines on the metro to 125th street station, then walk for 2 minutes along West 125th street to reach the venue. For many travellers, a religious service may not be seen as the antidote to a catastrophic hangover. Harlem could prove to be the exception. Founded by an Ethiopian businessman, and built in 1923, this church lies at the heart of Harlem’s community. A Sunday service at the Abyssinian Baptist church is a site to behold, with boisterous pastors and passionate choirs. To experience this, visitors need to arrive an hour in advance to queue and must also ensure they are in accordance with the dress policy. Tank tops, flip flops, shorts and leggings are prohibited. 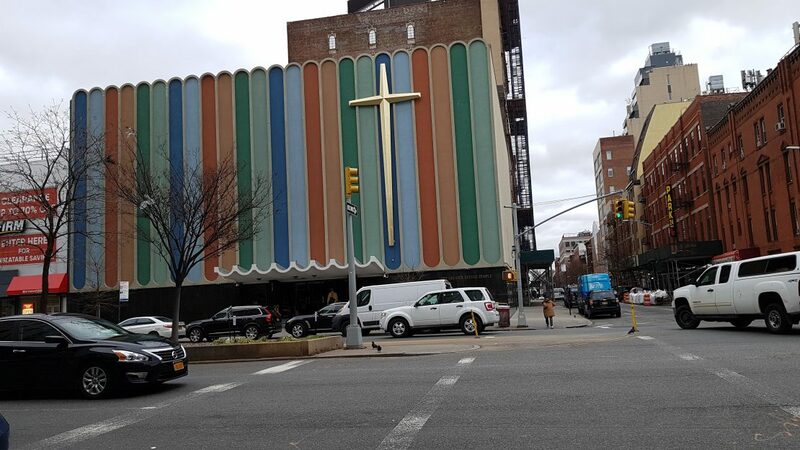 To get to the church, take lines 2 and 3 on the metro to 135th street. From the station, walk 3 blocks along Malcolm X Boulevard and take a left on Odell Park place. In the evening, Harlem’s many jazz bars come alive as visitors flock from all over the city to experience its live music. Here are some of the best spots to seek out. The upstairs of this bar offers middle-eastern cuisine, but the real draw is the live music on the floor below. Silvana’s eclectic line up befits the diversity present in Harlem. In the space of one evening, listeners can be serenaded by a jazz quartet, dance their socks off to a band from Burkina Faso before finishing the night off with one of the house DJ’s. Visitors will always be exposed to a variety of music from across the globe. This trendy bar and cafe can be reached by taking the B or C lines on the metro to 116th street and walking for 2 minutes. With the sociability of a European beer hall, and the quality lagers to boot, this bar was always going to be a hit with New York’s clientele. Opening in 2010, Bier International has a total of 18 beers on draft and a further 20 bottled. Many of these come from around the world but this bar also features some brewed in Harlem and the Bronx, so it is possible to sample local brews. During the summer months, Bier International’s garden is packed with customers feasting on bratwurst and supplementing their meals with pilsner. To reach this bar, take the metro lines B and C to 116th street station, then walk for five minutes down the Fredrick Douglas Boulevard. Live jazz, seven nights a week, and completely free. The Paris Blues Jazz club’s devotion to, well, jazz, is probably the reason why it has prospered since 1968. Its owner, Samuel Hargress Jr still runs the place at a sprightly 81 years of age. This joint claims the title of ‘Harlem’s oldest and only live jazz and dive bar’. In this cosy and scruffy bar, patrons are jammed in elbow to elbow as they are serenaded with authentic, live jazz.